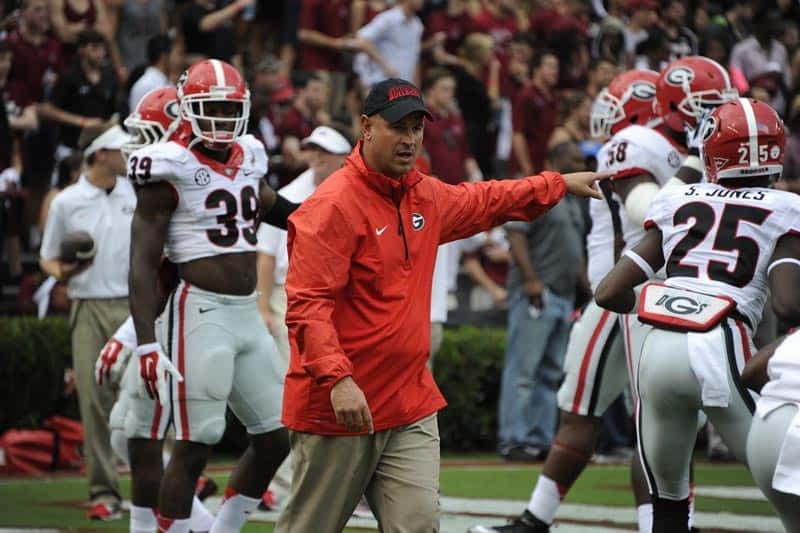 UGA defensive coordinator Jeremy Pruitt will get a raise and a contract extension, head coach Mark Richt announced today in a release. Pruitt just completed his first season in Athens after serving the 2013 season with national champion Florida State. He was under contract for two more seasons with an annual salary of $850,000. The new contract for Pruitt adds another year to give him three years total. He will also receive an annual salary increase to $1.3 million per year. Under Pruitt’s guidance, UGA finished 20th in the country overall in total defense, an improvement of 25 spots over the previous season. The 2014 Bulldogs also ranked 16th in Scoring Defense (78th in 2013) and 16th in Turnovers Gained (109th in 2013).